MEDICAL CONCEPT LAB was created to provide public and private hospitals with solutions and tools to increase efficiency, ensuring innovation and sustainability understood as the best solution of the highest quality in relation to the optimum cost-benefit ratio. Design expertise, experience with regard to workflow solutions, allow to support and follow up the structure and monitor the subsequent management. 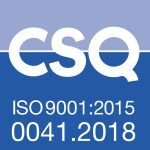 has implemented and certified its own Quality Management System integrated with the Environmental Management System in compliance with the UNI EN ISO 9001:2015.